I have had this die for a few weeks now and I just got around to playing with it last weekend. I love this die!!! It is so easy to use. And you can cut several sheets of paper at a time. That saves so much time! The die I am using for my personal Christmas card is a thin die and I am having to run it through the big shot for each card I am making and I plan to make 60! I so wish it were a bigz die! I really like the way this turned out. 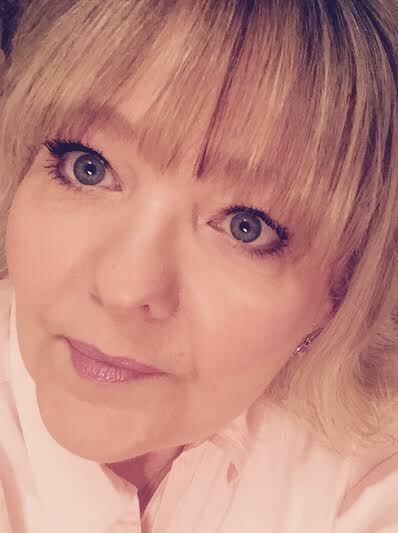 And when I saw how pretty the bling looked, I thought it would make for a pretty Christmas card. 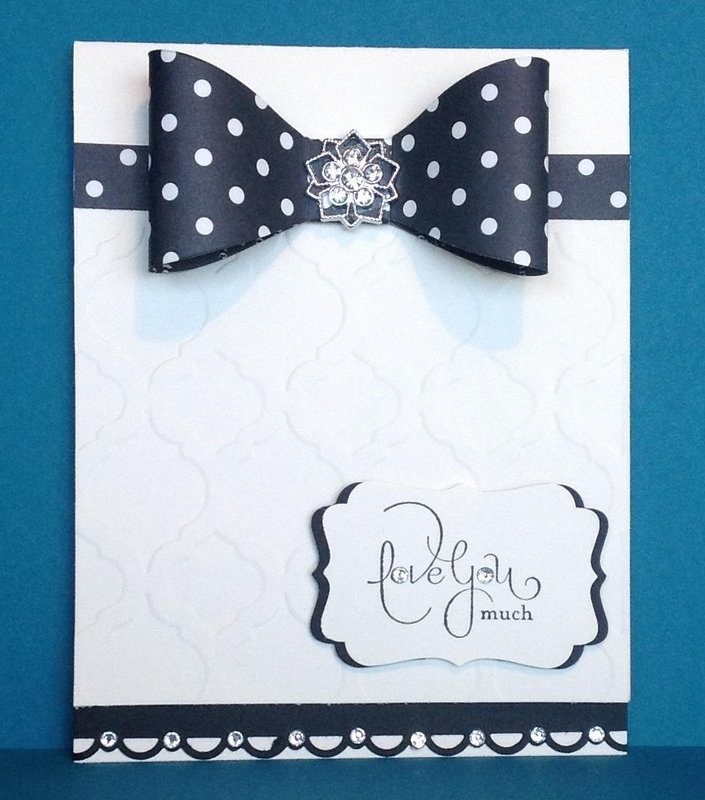 I used my current favorite Designer Series Paper, Modern Medley and black Staz On ink. And I was right! If I didn’t already have half my Christmas cards started, this is one I would choose. Maybe next year. (?) But then again, Stampin’ Up! will come out with something awesome in next years catalog and change my mind. Or I will spot something on Pinterest and change my mind 10 times before next year. LOL! Can you tell I love bling? 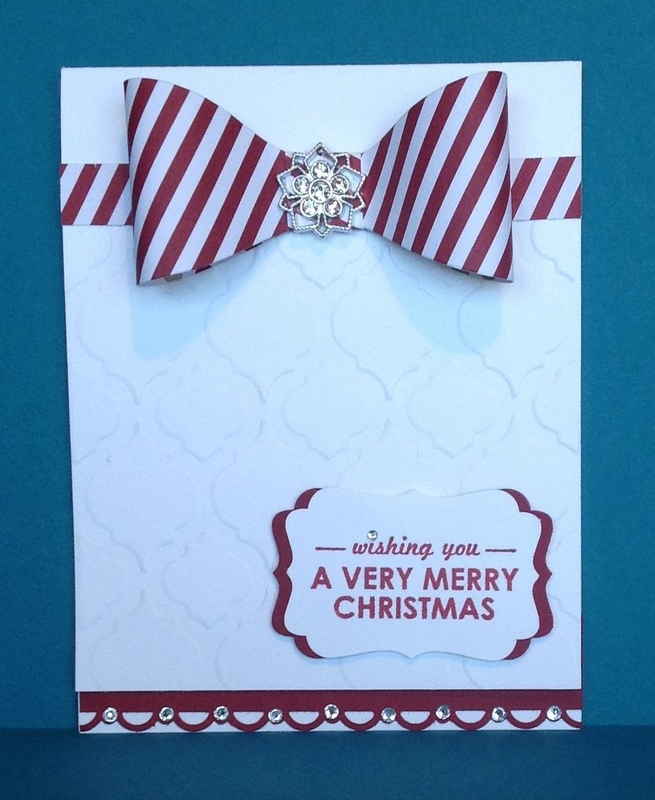 For this card I used Season of Style DSP and Cherry Cobbler cardstock. 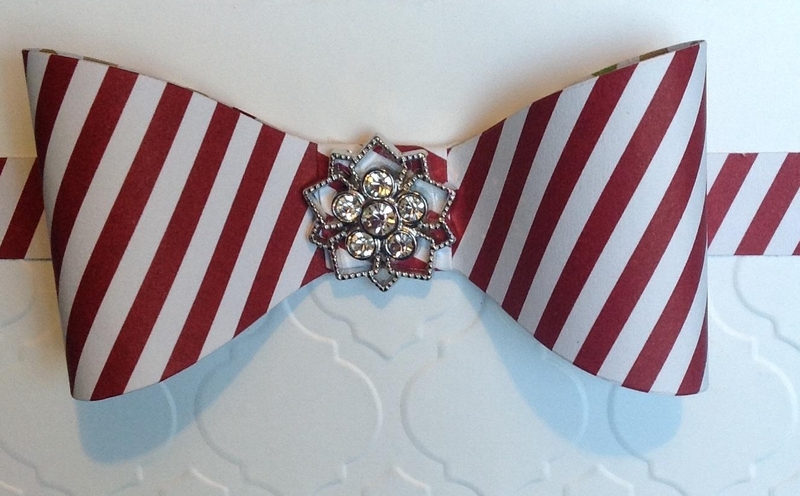 The bling in the center of the bows is also from the Holiday catalog. 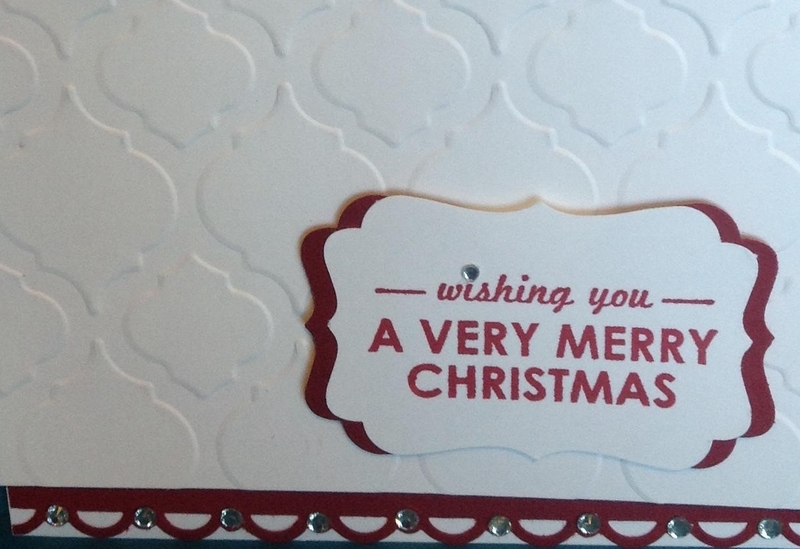 They are Frosted Finishes Embellishments. AND THEY ARE AWESOME!!! I have ordered extras so that they will last me a LONG time. These are a couple of the 3×3″ cards that I made for World Card Making Day to give to my customers and friends for placing an order and coming to my card class. 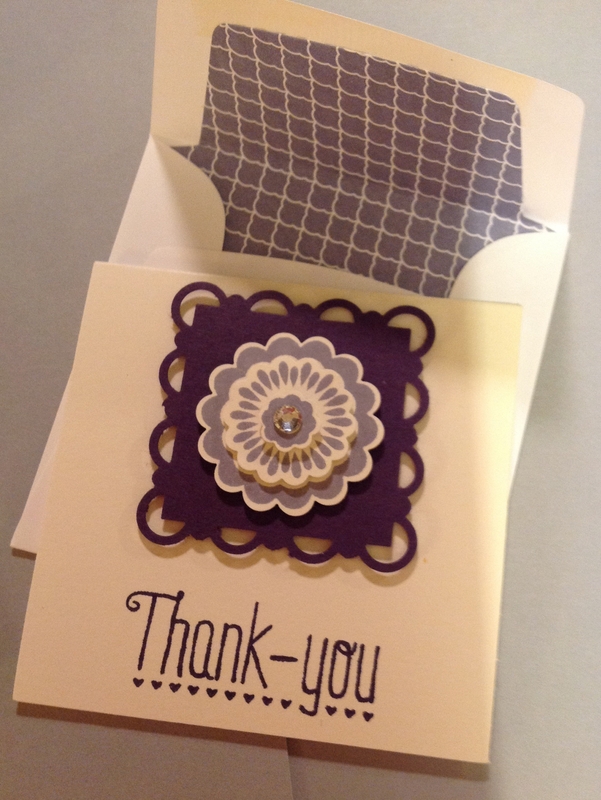 I used the Five Way Flower stamp and the new polymer Thank You stamp set. 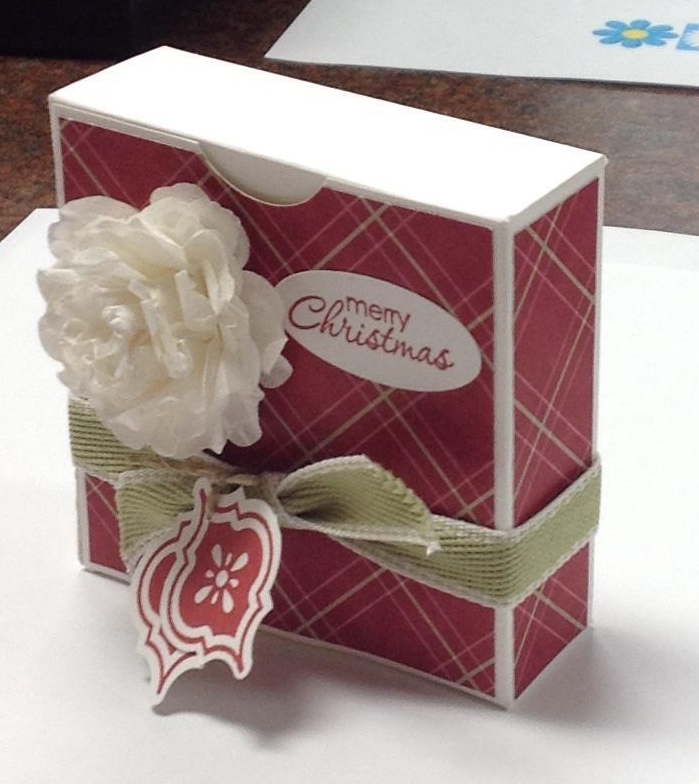 For an added touch, I lined the envelopes using the Envelope Liners Framelits Dies in the Holiday catalog.